Yesterday afternoon the snow began to fall. Something we haven't seen much of this winter, and I'd kind of hoped we wouldn't see again! But, it's New England and there's no telling what's next. 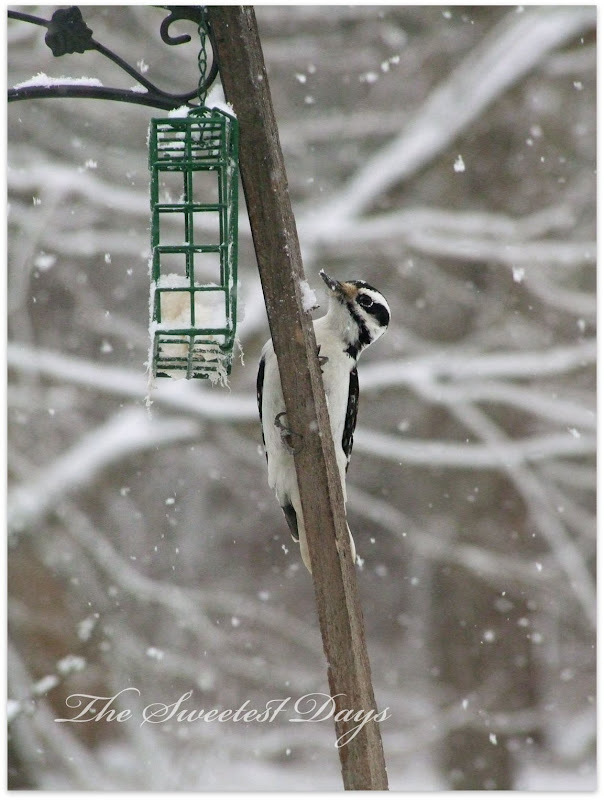 Although it doesn't really look big enough, this is actually a Hairy Woodpecker. Photographing them can be tricky since they are much more timid than the Downy Woodpeckers. Such a pretty lady she is. Gotta love the Bluebirds! They've been eating up the Zick Dough for a the past month. Lately they've also been fighting like cats and dogs but once the snow arrived, so did harmony. By Tuesday night Elise felt sick to her stomach and had a terrible headache but no vomiting or other concussion symptoms. Finally she ate a little yogurt and some toast and which calmed her stomach but yesterday morning when she awoke her neck was really hurting ... bad. Unfortunately I had to go to work so I called the doctor from my cell and they said go straight to the ER. Since I wasn't home my husband took her where they x-rayed Elise's neck only to have it come back with what appeared to be a line through the 3rd vertebrae. The doctor assumed it was a shadow from the trachea but he couldn't be certain so a CT Scan was ordered. Long story short (and maybe it's a bit late for that) Elise is okay. Nothing is broken but she has to wear a neck brace as there is plenty of swelling, soreness, and stiffness. Needless to say my husband is quite sore too. All will be well in the next few days though. Phew! I'm so glad Elise and your husband are OK!!!!! 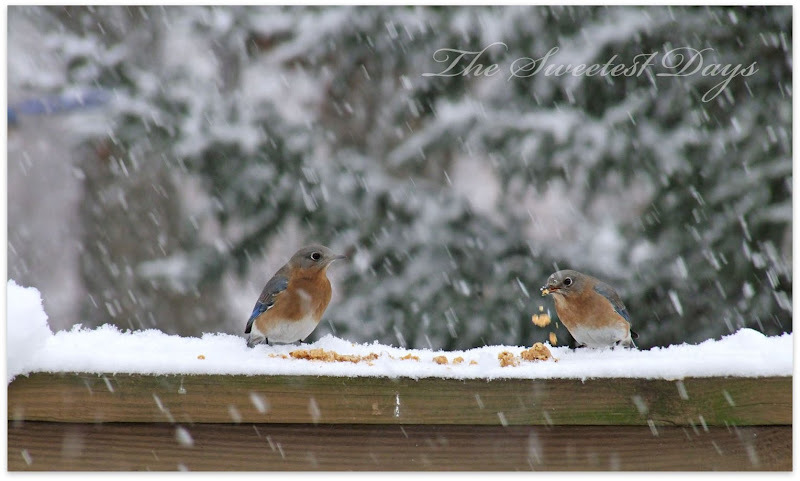 Sharon, these photos of the Hairy and Bluebirds in the snow are so beautiful! That is drama! So glad to hear your husband and daughter will be OK, and sorry about the fish! I know they can be very expensive, and it is so hard to lose them at any cost. Sharon, so glad to hear that everyone is okay! It must have been a very stressful event. 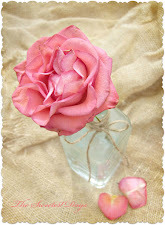 I love your images in this post! Very pretty. Funny it snowed here yesterday too! Quite unusual for this time of year. Hopefully this is the last time, but we can't really complain because it's been a super mild winter! Oh my gosh, Sharon! I'm so thankful they are both okay - very scary. I do so much love your photos. delight until I read about your daughter. Then I felt bad. But glad to hear the docs there took it seriously and that your daughter was not seriously injured. Then, when I read the ending and saw that you went out to dinner, well, I felt better. You are a woman after my own heart!!! And I LOVE the bluebirds. New England will always be with me because I have your wonderful photos to peruse anytime I want to. It truly is a gift. Thanks. Yowza! I'm glad that there is harmony at the feeder and that your family is A-okay. These bird pictures brought an "AWwwww" out of me! I love the blue birds! I don't think we have them here this time of year. Hope your daughter can replace the fish. They are captivating to watch. But, most of all, I am glad to hear your hubby and Elise will be okay. Head injuries....I guess we can not be too careful. I knew there was a reason I don't ski! That must have been incredibly stressful for everyone! So glad to hear it all turned out well in the end. The bluebirds are really lovely. Glad they both will be ok. I don't ski - never wanted to, as to afraid. 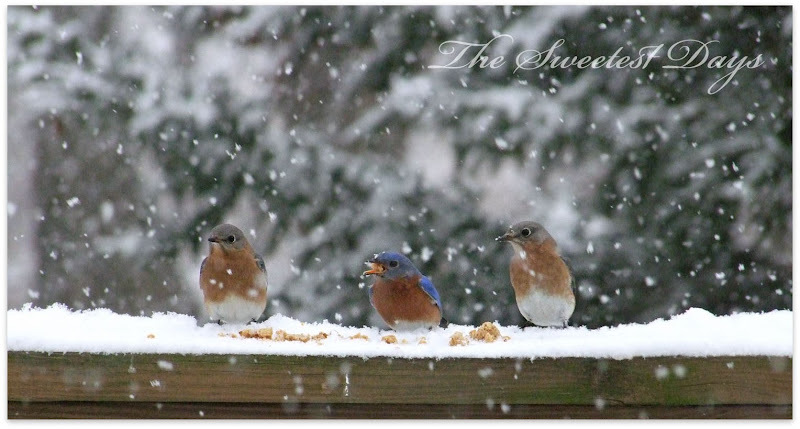 Great pics of the birds and snow. We have lots of blue jays, but I rarely see a blue bird around here. 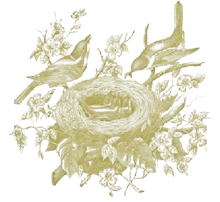 Sounds like a scary accident, I am glad Elise is OK. AND Oh yes, I love the bluebirds.